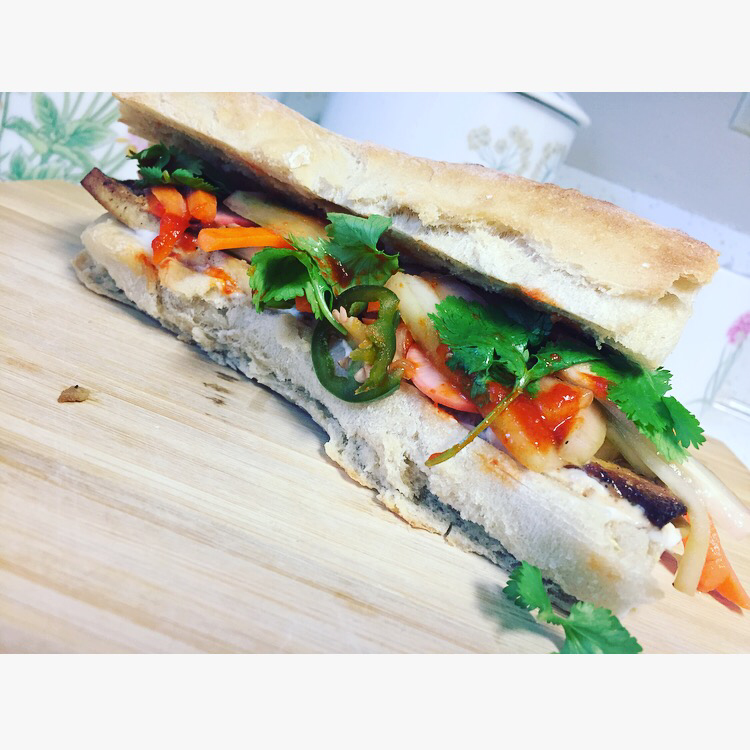 Here are pictures of a vegan Bahn Mi I made today. I got the recipe from the Love and Lemons blog. 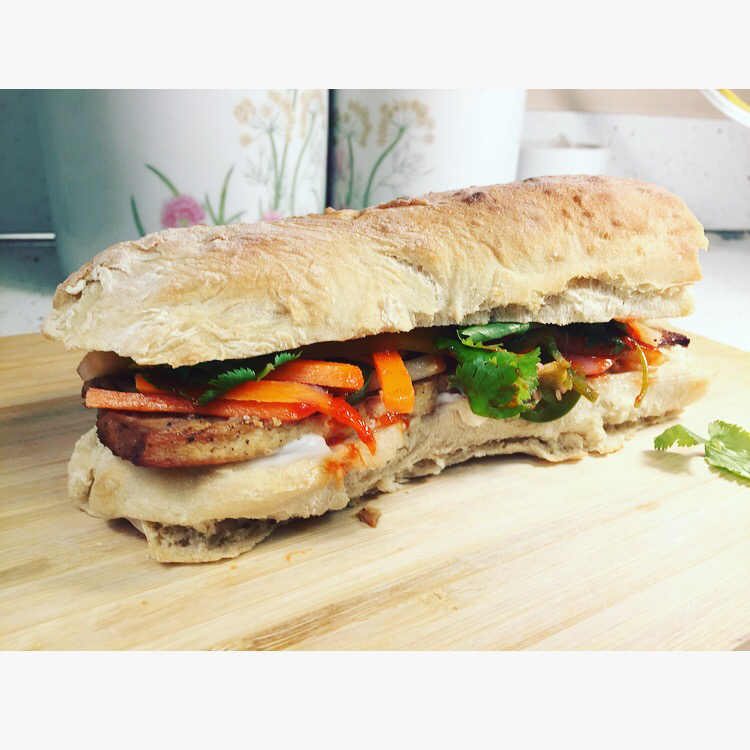 I freaking love a Bahn Mi. 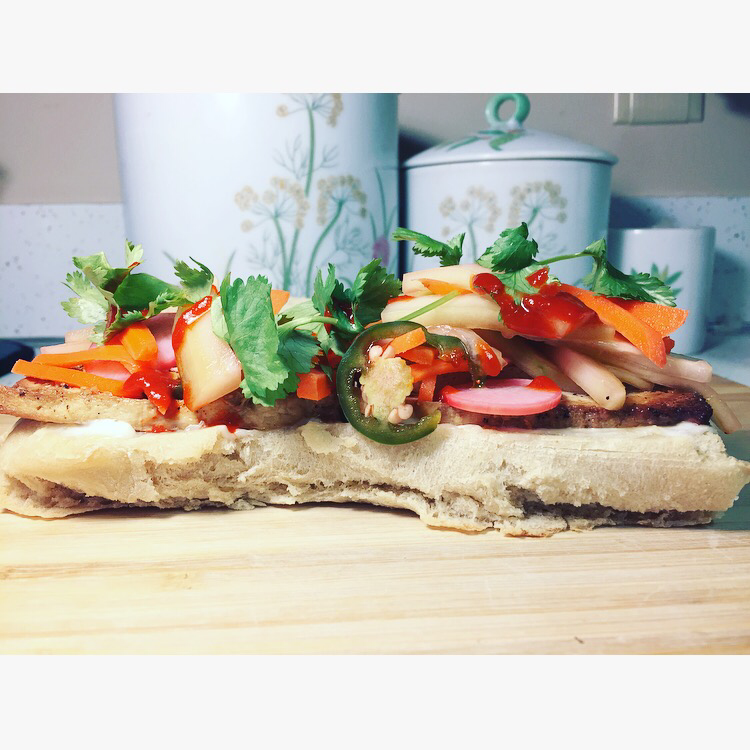 French baguette and Asian flava meet, fall in love, and marry so well! I have been craving one for all of 2017 without giving in. There’s a most beloved Vietnamese restaurant nearby but as I’m a money saving student and trying to eat vegan and trying to make most of my meals, it’s been a while. A huge aspect of globalization I’m grateful for is bringing far away flavors to me! I made the baguette pictured and did a lousy job. I did some division and converting from my college culinary book but I must have gotten it all wrong. This dough was just blah. So very blah. Overmixed, under proofed, over stretched, underloved. I have a new goal for my year: make all of my own bread. We’ll see how it goes. Surely there will be improvement as I attempt.